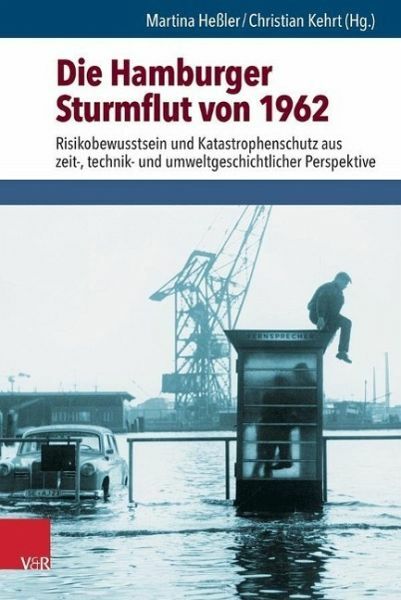 This volume addresses environmental and technological dimensions of the Hamburg storm flood of 1962, a key event of contemporary German history that still lacks any systematical consideration. Our articles provide new insights into risk awareness and disaster control of modern societies, with a particular focus on the role of technology in the context of natural disasters, and questions of disaster control by the armed forces, offering new approaches for historical disaster research as well as contemporary history. The relations of nature-technology and society will be systematically addressed, while also dicussing new concepts such as "environmental coherence" or forms of resilience in urban and rural contexts. This German case study also shows that the experiences of the Second World War were still present in the perception of the storm flood. In order to embed this key event into a larger framework of coastal societies and their changing attitudes towards risk, nature and technology, we have included additional historical case studies about storm floods in the 18th and 19th century and comparable events in the Netherlands in 1953. Dr. Martina Heßler ist Professorin für Neuere Sozial-, Wirtschafts- und Technikgeschichte an der Helmut-Schmidt-Universität. Dr. Christian Kehrt ist Wissenschaftlicher Mitarbeiter an der Helmut-Schmidt-Universität Hamburg.